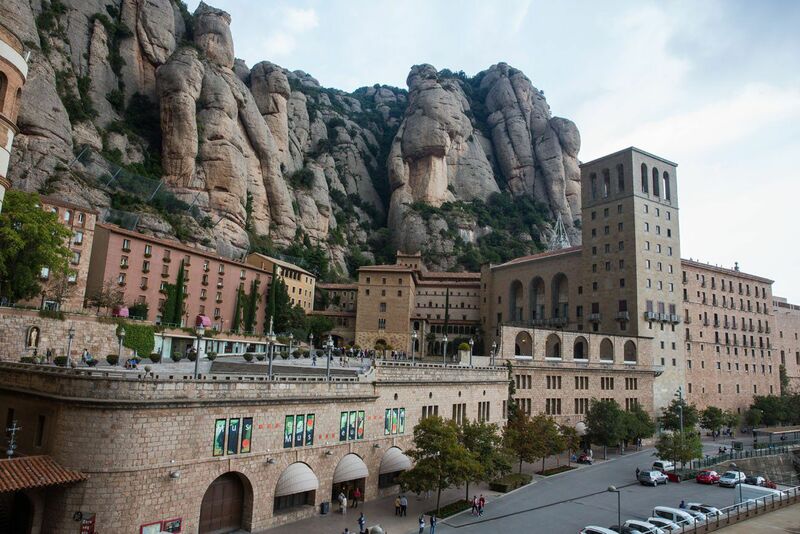 Visiting Montserrat is one of the most popular day trips from Barcelona. It’s easy to get to and gives you an opportunity to see the Spanish countryside. The views from the monastery are breathtaking, well worth a day of your time while you are in Barcelona. Montserrat is a rocky mountain range in Catalonia, Spain. 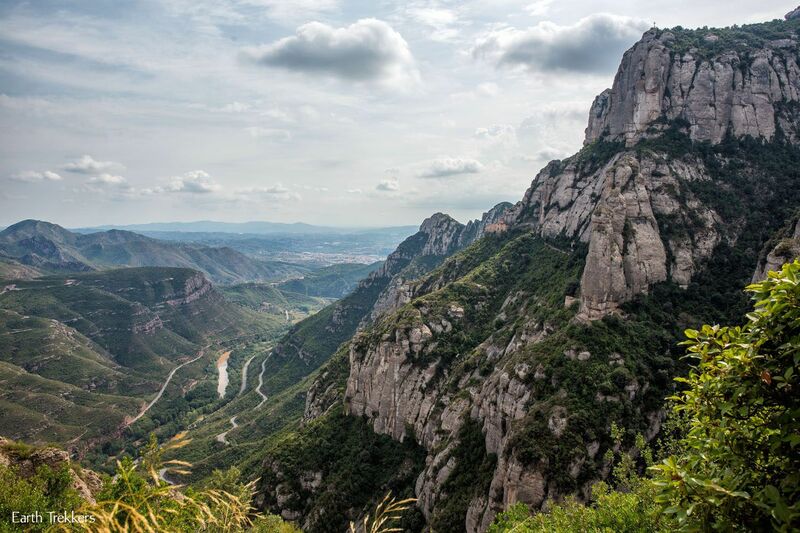 “Montserrat” translates to “saw mountain” in Catalan, owing to this mountain range’s jagged, sawtooth appearance. 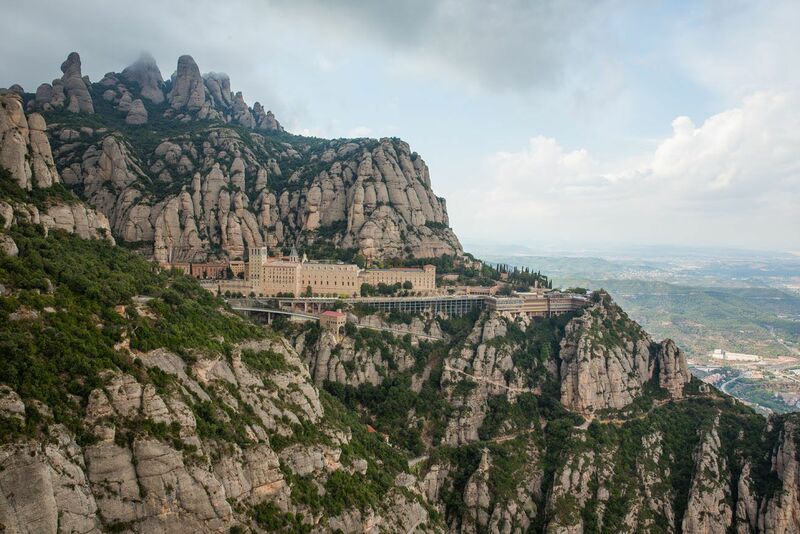 Sitting atop the mountain range is Santa Maria de Montserrat, a Benedictine monastery. Located inside of the monastery is a statue of the of the Virgin of Montserrat, one of the few black madonnas of Europe. 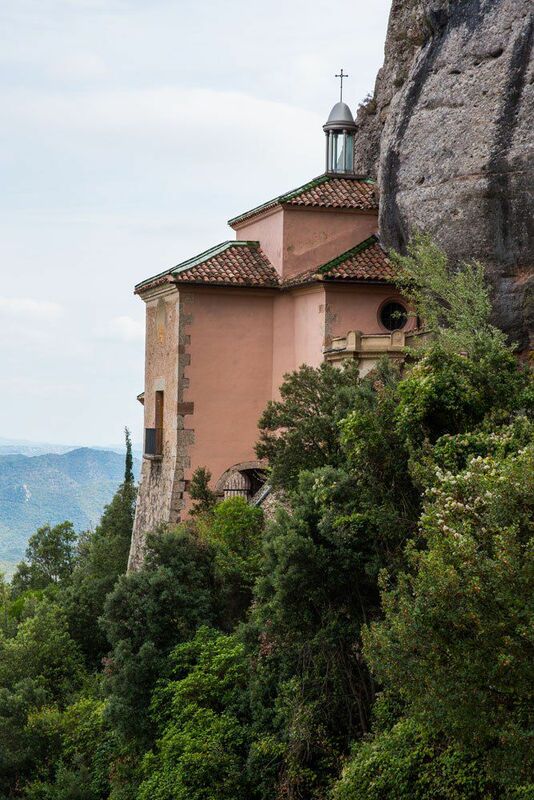 This is Catalonia’s most important religious retreat, as many people make an overnight hike to watch the sunrise from the peak of Montserrat. For some people, a visit to Montserrat is a religious pilgrimage. For others, it’s a visit to a unique mountain range offering views over Catalonia. Be whisked to the top by a scenic cable car ride, take short hikes through the mountain peaks, and take a funicular higher up onto the mountain for even better views. 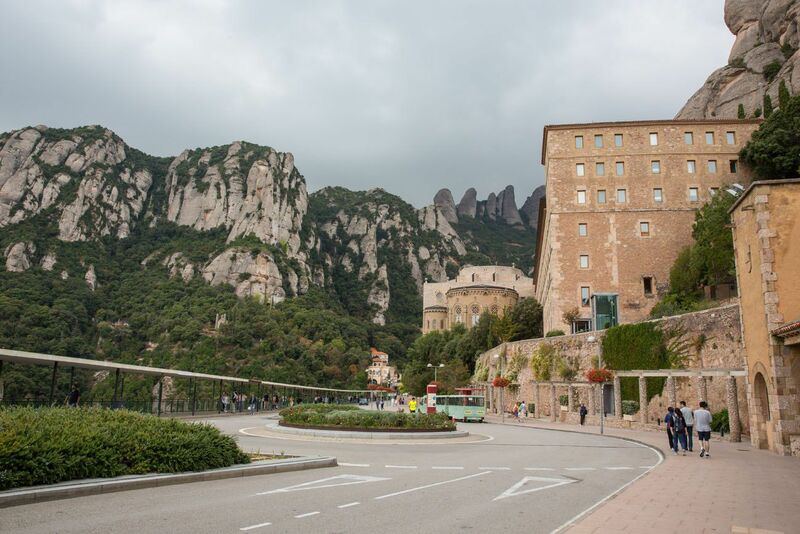 Those who enjoy hiking can walk to Sant Jeroni, the highest peak of Montserrat. 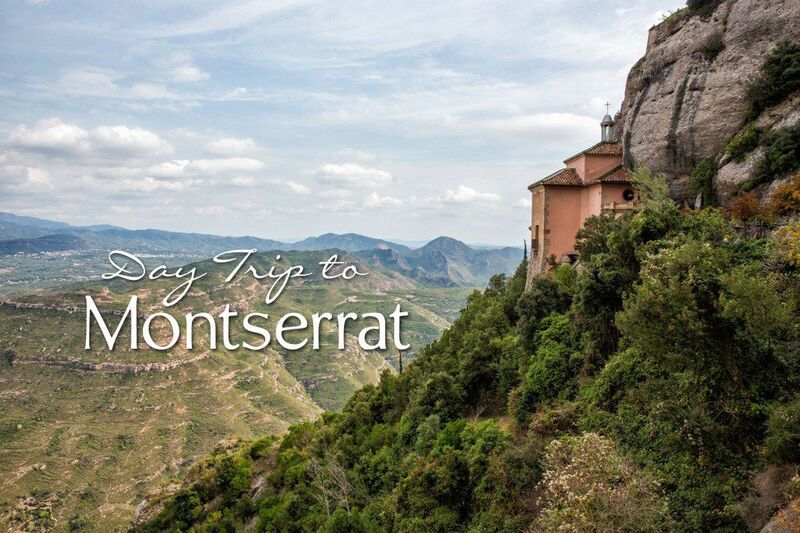 Getting to Montserrat from Barcelona is quick and easy. Here are your options. This is the quickest and most scenic option. From Plaça Espanya in Barcelona, take the R5 line to Aeri de Montserrat. The journey by train takes approximately one and a half hours. From Aeri de Montserrat, take the cable car to the top. Combined tickets can be purchased at the Plaça Espanya station. This option is slightly longer than taking the cable car but a little bit cheaper. From Plaça Espanya in Barcelona, take the R5 line one stop farther to Monistrol de Montserrat. Change to the Cremallera, a green railway that runs to the top of the mountain. Combined tickets can be purchased at Plaça Espanya. For timetables and ticket prices, visit the Cremallara de Montserrat website. This is the healthiest and most cost effective way to the monastery. From Plaça Espanya, take the R5 line to Monistrol de Montserrat. From the train station, walk through the town of Monistrol to trails winding their way up the mountain. To read our post on how to hike to Montserrat, click here. This is a less popular option, since most people make the journey by train. Buses leave the Estacio Sants train station for Montserrat. For more information, click here. This is the most expensive option. Taxis and private drivers can be used to get to Montserrat. From the mountain top, the views are stunning! The Black Virgin of Montserrat is located inside of the basilica. 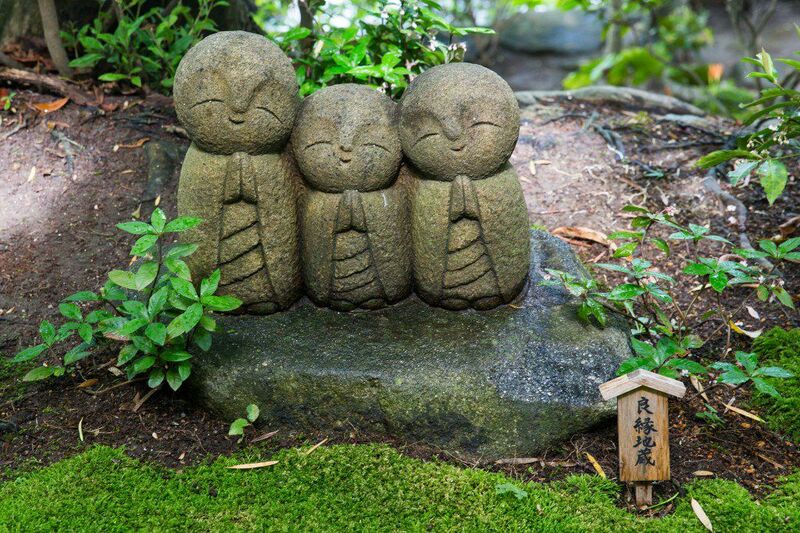 A visit here is free and it is said that the statue of the Virgin Mary and her infant son have healing powers. 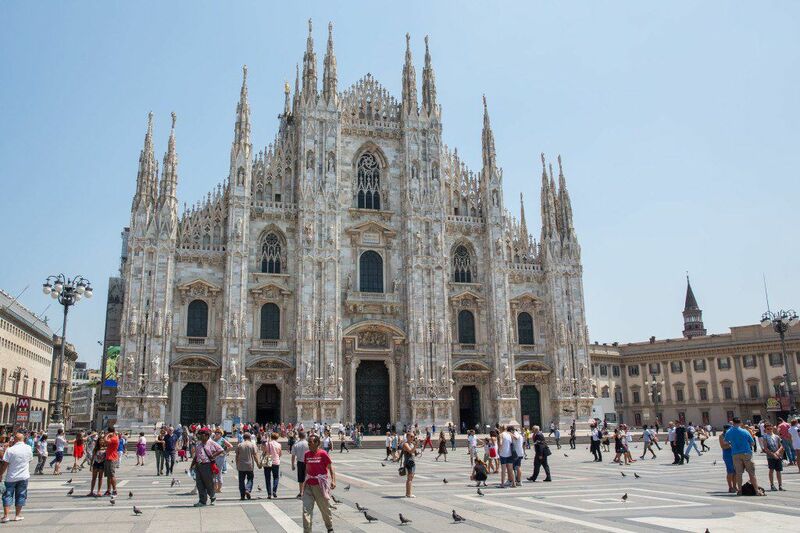 The Benedictine Abbey dates back to the 9th century and legend has it that this was once was home to the Holy Grail. 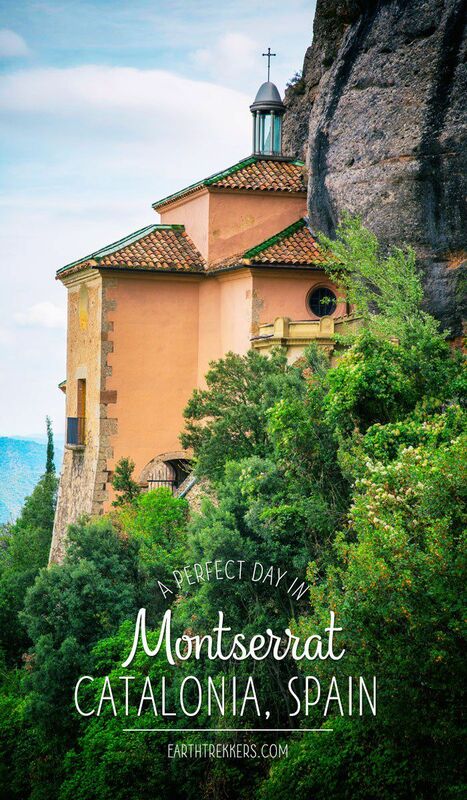 The Holy Cave of Montserrat once housed the Virgin of Montserrat. Three hundred years ago a chapel was built at this spot. 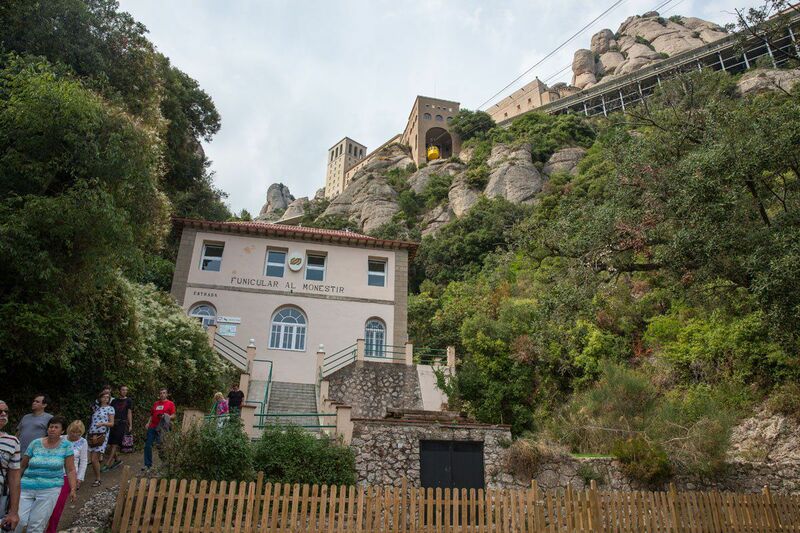 From the monastery, take the Santa Cova funicular down to the walking trail. Follow a winding, paved trail along the mountain cliffs to the chapel. The views from the chapel are stunning. Allow an hour for the entire walk. If you look closely, you can see the trail to the Santa Cova Chapel snaking its way along the mountainside. This is another beautiful walk. 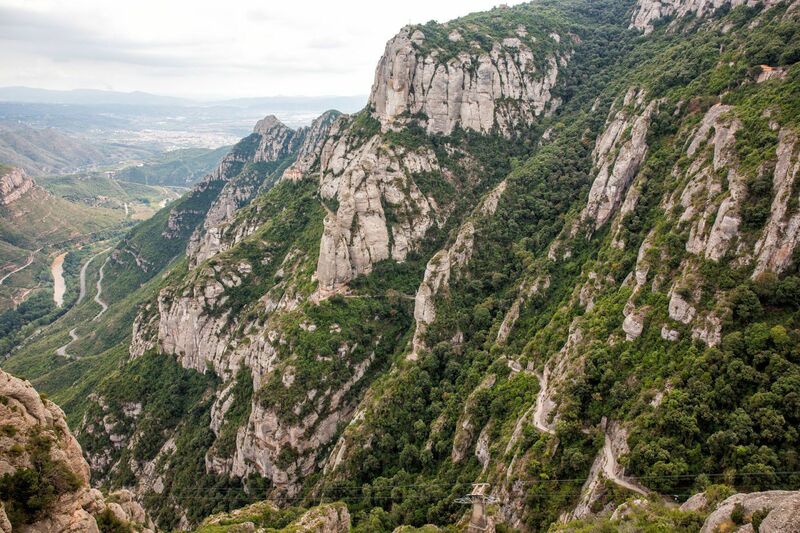 This walk takes you to a higher point than the Santa Cova Chapel, for more stunning views of the valley and quite an awesome view back to the monastery. Finding the trailhead can be a little tricky. Here are the GPS coordinates for the start of the trail: 41.592064, 1.835830. This funicular takes you to a very high observation point. From here, you can start the hike to Sant Jeroni. Sant Jeroni is the highest peak on Montserrat. 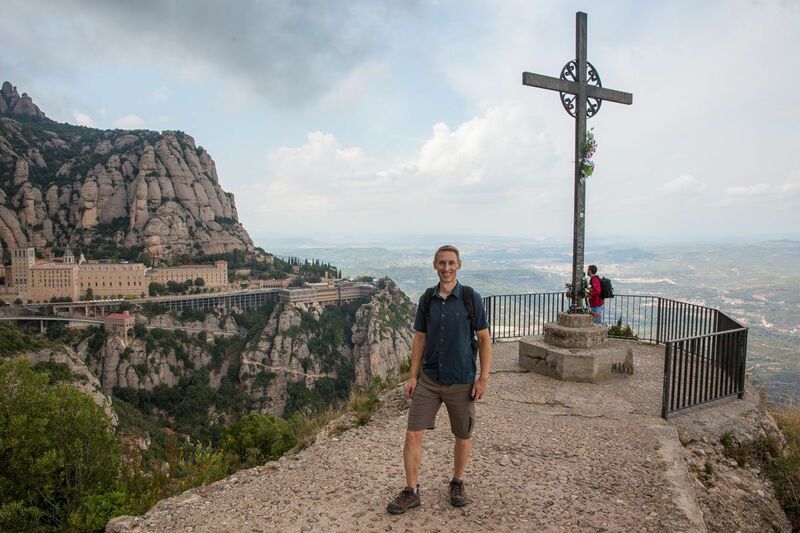 For the best views while at Montserrat, consider doing this 3 hour return hike. 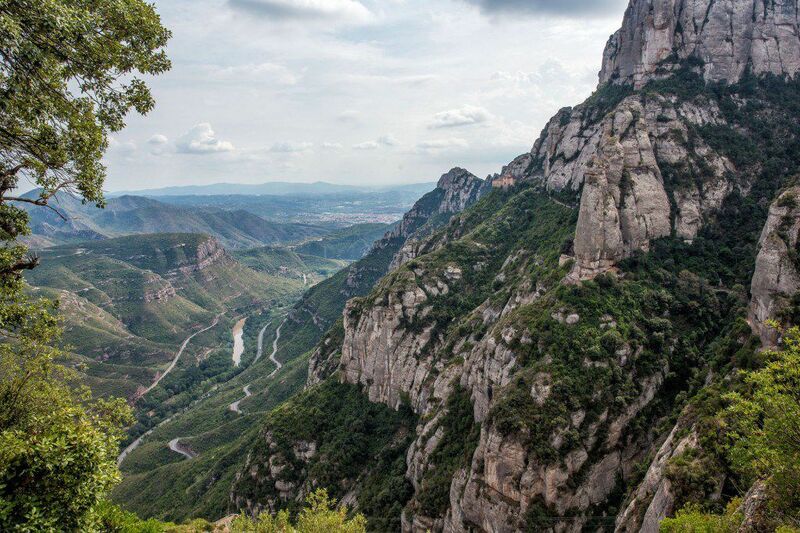 This hike gives you the best views over Catalonia. We did not hike to Sant Jeroni, but I wish we did. Tim was racing Ironman Barcelona in just a few days so we didn’t want to hike too much. Here is a post that does a good job explaining the hike, if you are interested. The Stairway to Heaven is a stack of nine large concrete blocks arranged in a helical pattern. At one time, this was a popular object to climb. People would travel to Montserrat just to take a photo on top of the Stairway to Heaven. Now a fence surrounds it, both for safety reasons and because it is a work of art. Its intention was never to be a jungle gym. Numerous people visit Montserrat just to see the Stairway to Heaven. In our opinion, this is an overrated attraction. There are much better things to see while in Montserrat, such as the Monastery, the views from the various viewpoints, and the Santa Cova Chapel. During our visit, the Stairway of Heaven was protected behind a hastily erected construction fence. It was hardly worth the visit. If you have plans to visit Montserrat for the sole reason of climbing the Stairway to Heaven, you should know that it is illegal to do so. The Stairway to Heaven is located just east of the Mirador Restaurant. On Google Maps, the Stairway to Heaven is called Escala de l’enteniment (click here to see the location on Google Maps). Come take look if you are curious but don’t expect to climb it. Restaurant Hostal Abat Cisternos. This is the most expensive option. For lunch or dinner you can have a three course meal for €27.50. Cafeteria. There is a cafeteria that offers a lunch buffet. There is a wide variety of food, all of it is mediocre and nothing special. Included in the price is unlimited wine from a tap…an interesting option for those who are interested. Bring your own picnic. The best option may be to assemble a picnic lunch at Boqueria Mercado before making the journey out to Montserrat. 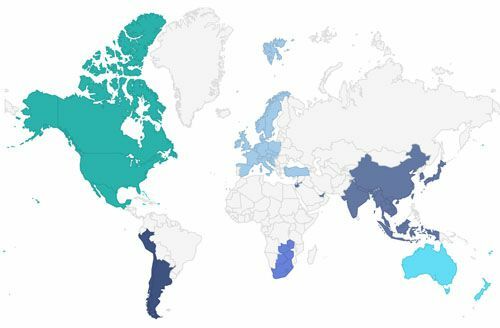 How Long do you need to visit Montserrat? A visit to Montserrat takes a good part of a day. Travel time takes about 1.5 hours one way (roughly one hour for the train and 30 minutes for the cable car or rack railway). 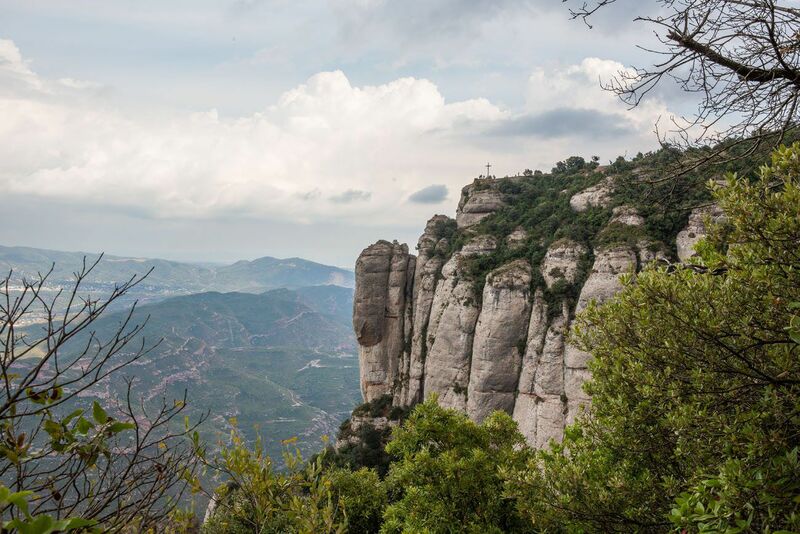 Once on Montserrat, you can visit the main sites and viewpoints in just a few hours. Expect to spend all day here if you want to hike the trails and sit down to lunch or dinner. 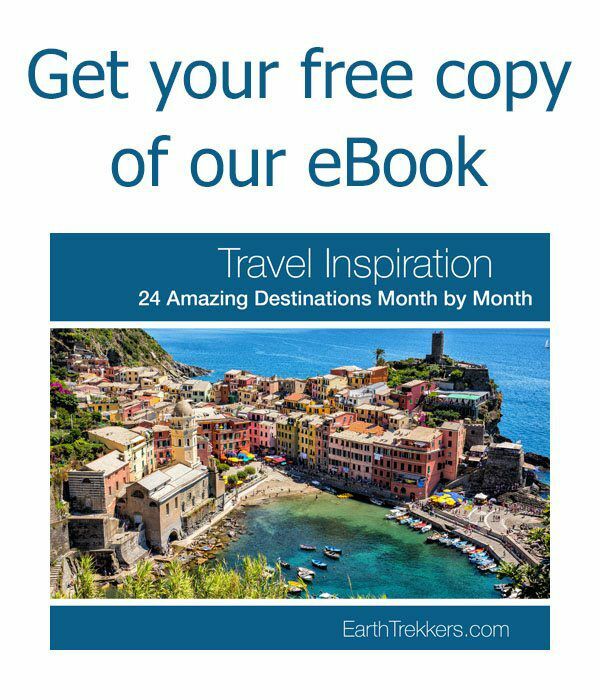 Planning to visit Montserrat? If you have any questions, comment below! 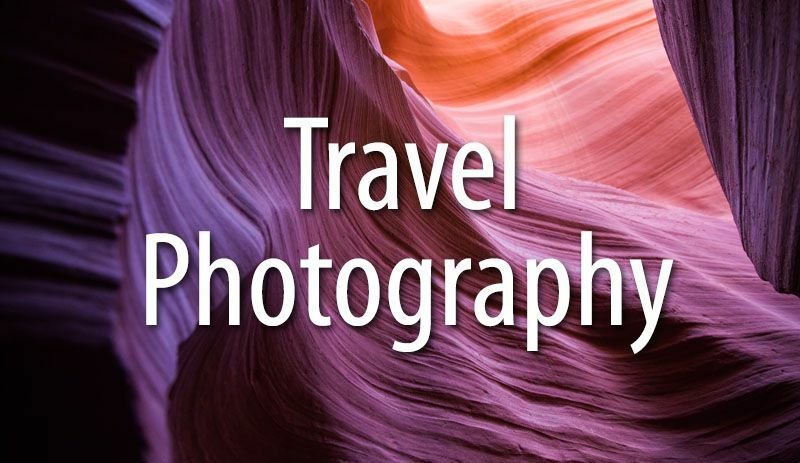 Are you planning a trip to Barcelona? Read all of our articles about Barcelona, including more ideas for day trips, on our Spain Travel Guide. I will be going to Barcelona 17 April to 24 .Do u know if Montserrat will be closed in any of these days because of the Easter vacation? Thanks for the lovely share. I just need to ask if we hike to St. Jeroni form the monastery, or we have to take the funicular either way. Also, which funicular offer better views from the top. Thanks Julie so much for the information! I’m looking into going next weekend, with the plan to hike up the mountain and then taking the cable car down. 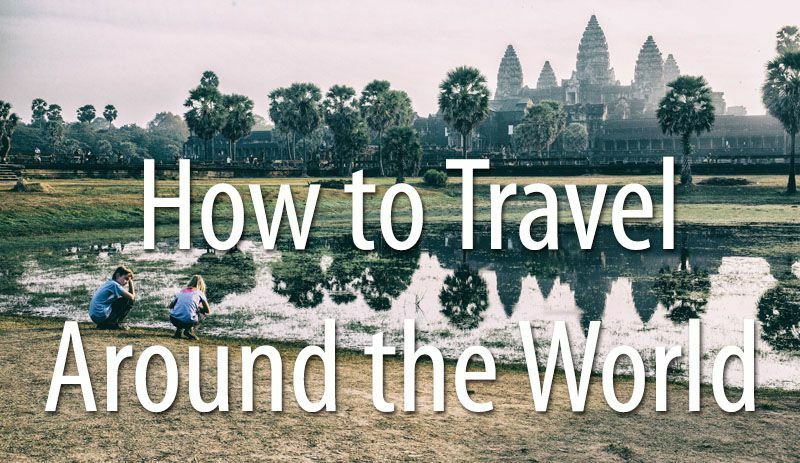 Do you know if you can buy the tickets from the top and also how much a one-way ticket is? (or even round-trip, just trying to get a sense of the price). This comment has nothing to do with this particular blog but I just want to express my gratitude to you for sharing very informative blogs. You do not have any idea how you helped me a LOT! 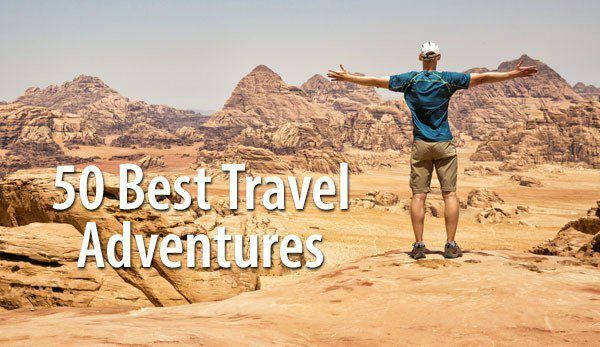 🙂 As a newbie on adventures like trekking/hiking , I am very discreet on looking for informations on how, where or when to get to my destinations since I am usually travelling alone and budget is also a huge factor. I honestly find your blogs as extremely useful guide for people like me. (here’s a short story to share 🙂 I went to Trolltunga (troll’s tongue) in Odda, Norway and I know that wouldn’t be an easy hike since I’ve heared a lot about it, so 2-3 months before my hike (talkin’ bout early prep. haha), I already start searching and reading so many blog sites, web links etc., but your blog stands out that I have read it so many times and took notes the details you wrote there. Your blog really helped me so much to finish/enjoy my hike and catch the transpo on time (thus, saving money to pay for hotel accom.) . Anyway, thank you again and hope that you continue blogging/sharing your knowledge, tips and experience. Many more adventures to you and your beautiful family. Hi, when you get out of the cable car, is everything on relatively flat ground. 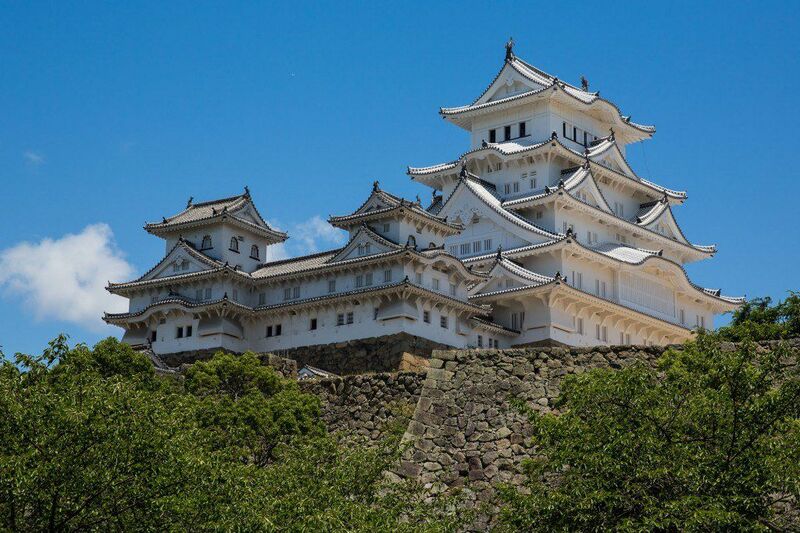 If you choose not to do the hikes, would this still be a good day trip for someone that is a little older? Hi Julie! I am purchasing a HOLABCN! card for my visit to Barcelona and I think it’s good for the R5 train to and from Montserrat. If this is the case, do you recommend that we purchase cable-car and funicular tickets (one way as needed) at the Aeri de Montserrat station? Or at Placa Catalunya in Barcelona? From what I can tell, all of the combination or tour tickets include the train, and we won’t need that component. Any advice? Thanks! Hi! Thank you for your guide, it’s very useful 🙂 Last time we were in Barcelona we didn’t have enough time to go there and we regretted it. Now we have another chance, but I’m worrying about the weather, I’ve heard it’s much colder there than in Barcelona. Do you think November is a good time for visiting Montserrat? I’m afraid it will be too windy and unpleasant to stroll around 🙁 Also, is there possibility to get to the Chapel only by funicular (no hiking)? We probably won’t be able to hike but still would like to see it and enjoy the views. Thank you for replying and explaining everything Julie! I have to check that trail to Santa Cova Chapel, maybe we’ll be able to get there if it’s not a hike (we’ll be traveling with 3 kiddos) 🙂 I think we have to wait to see if the weather is nice and book all the tickets few days before. Sounds like a great plan. Have fun! 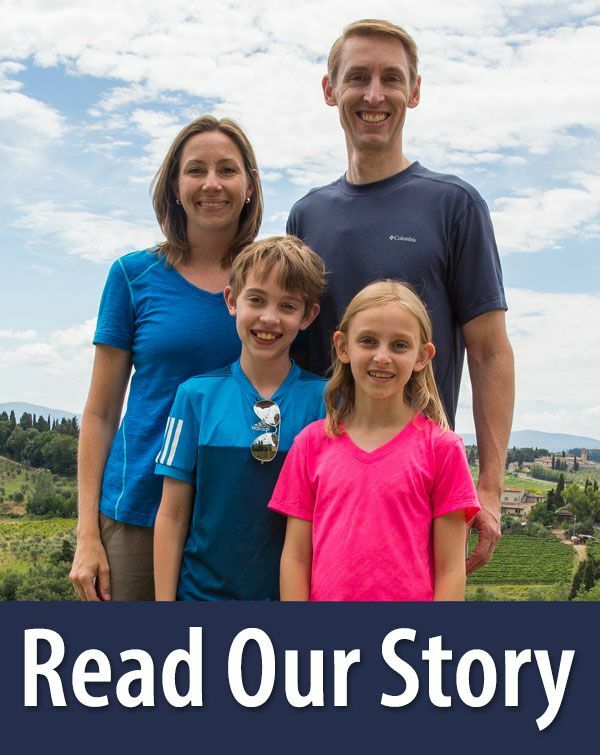 Hi Julie – Thanks for this post! 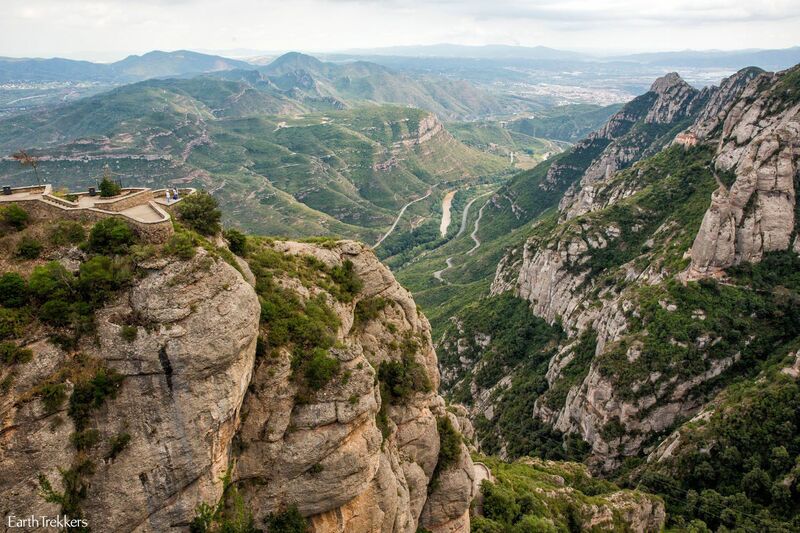 I’m thinking of visiting Montserrat in February ’19 en route from Barcelona to Pamplona with my husband and two small girls (they’ll be 4 and 16 months at that time). My husband and I are in good shape and pretty adventurous. Do you have a recommendation for how we should approach Montserrat? 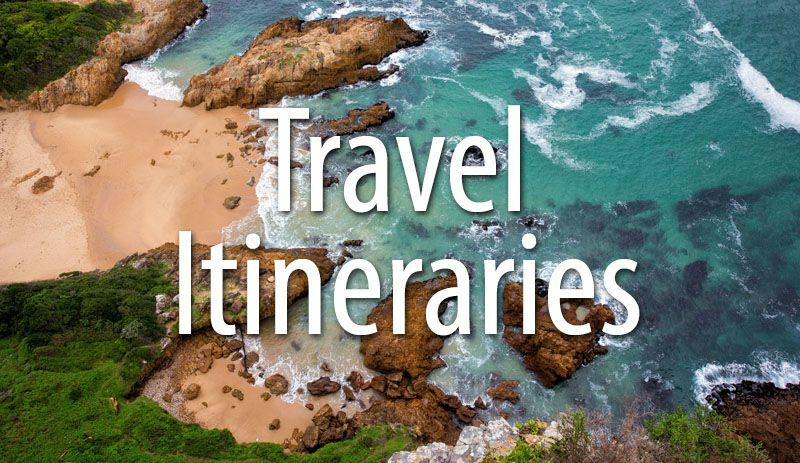 We will be arriving by car and would definitely want to take a funicular for the 4 year old, see some of the history, and do a walk that would be workable with the 4 year old walking and 1 year old in a pack. Oh and in winter … Any ideas would be so appreciated! Thank you! Thanks so much for this great post, we are looking at going in July and are in a similar Family situation as Sara above with a 4yr old and 8 month old baby, so this reply was super helpful. 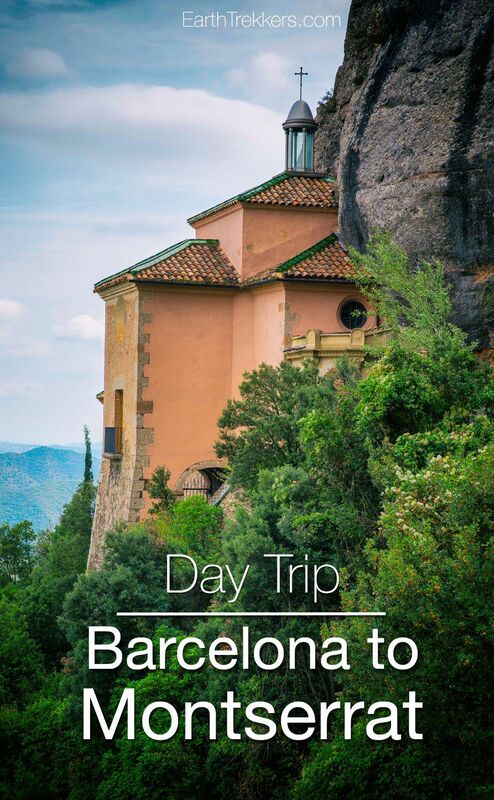 Would love to hear from Sara how she went with the kids and the two short hikes to Sant Miquel’s Cross & Santa Cova Chapel, as that is what we’re looking at doing and are unsure if it will be too much for the 4yr old to handle?